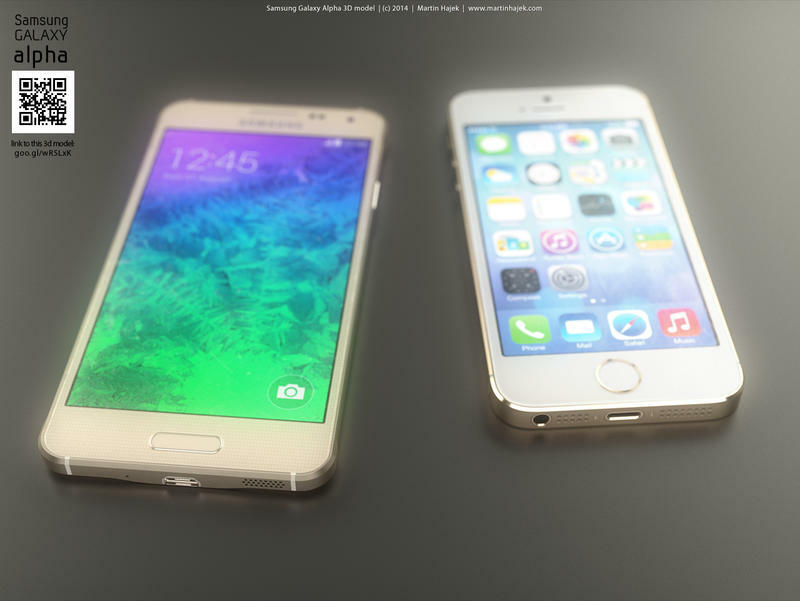 Master render artist Martin Hajek is at it again. 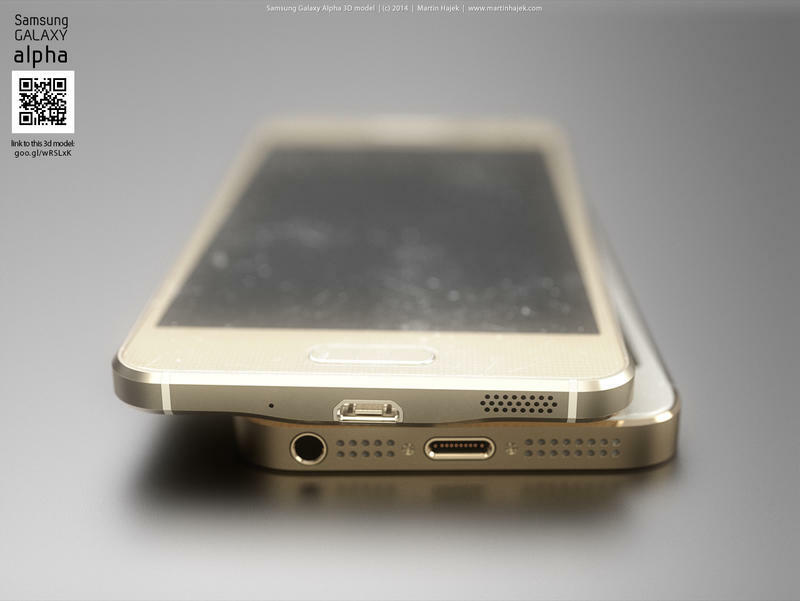 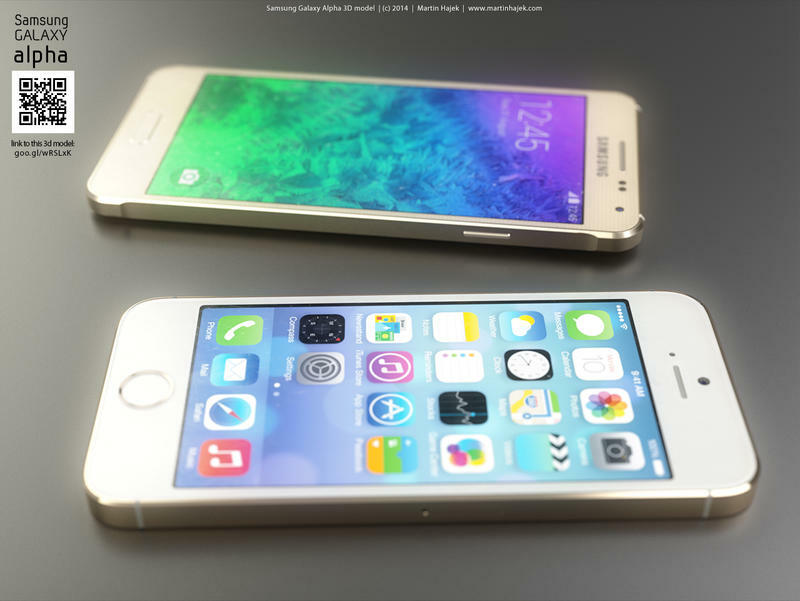 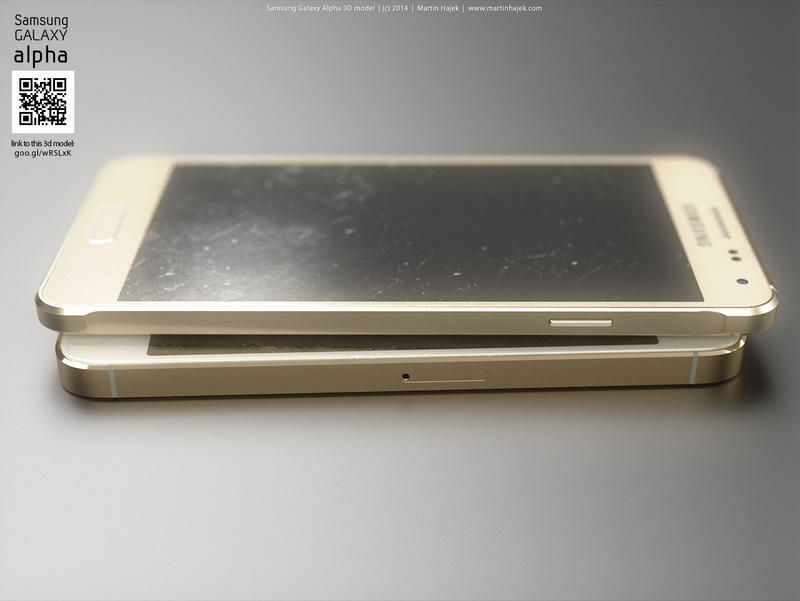 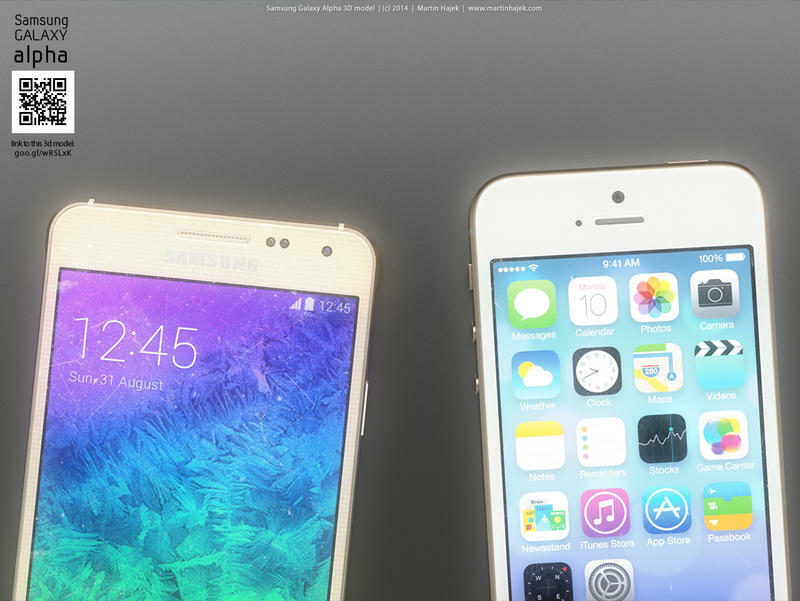 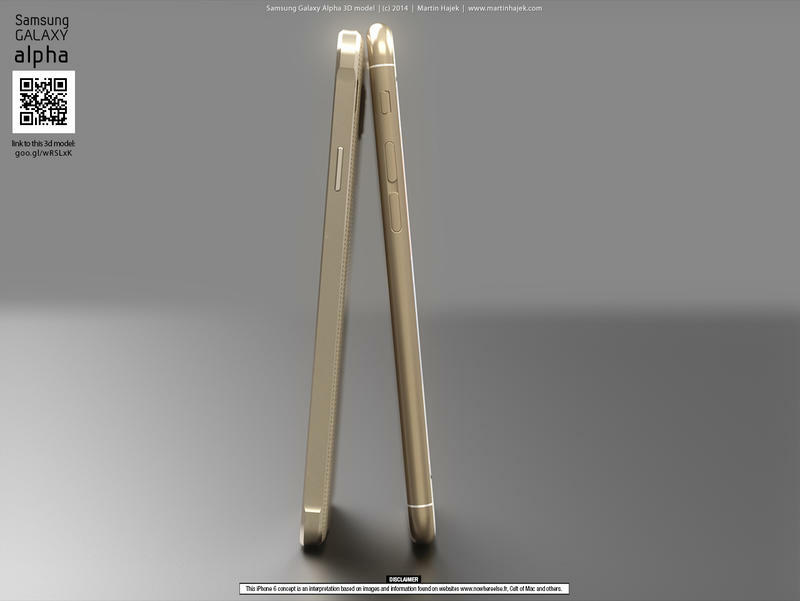 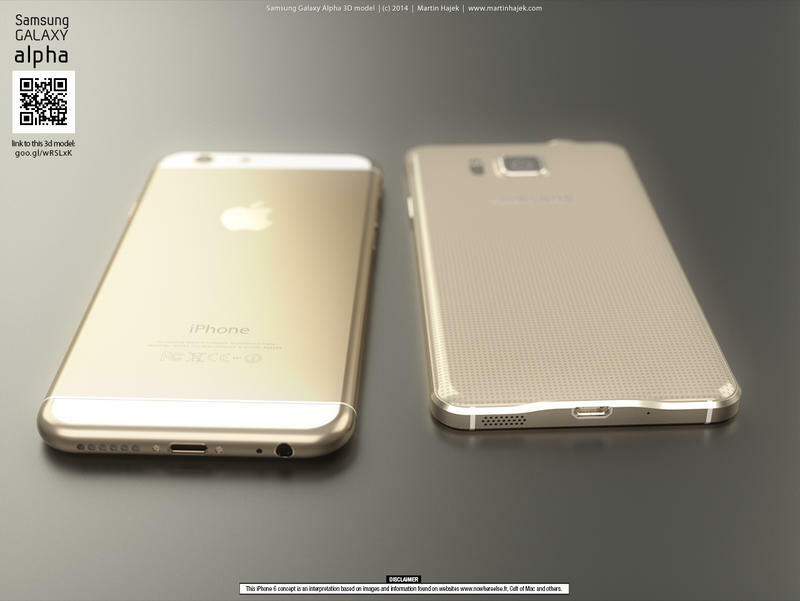 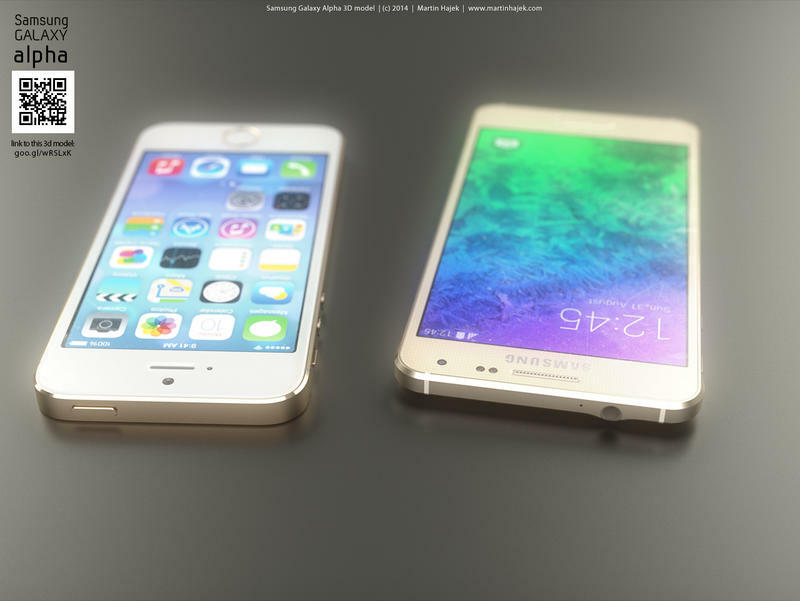 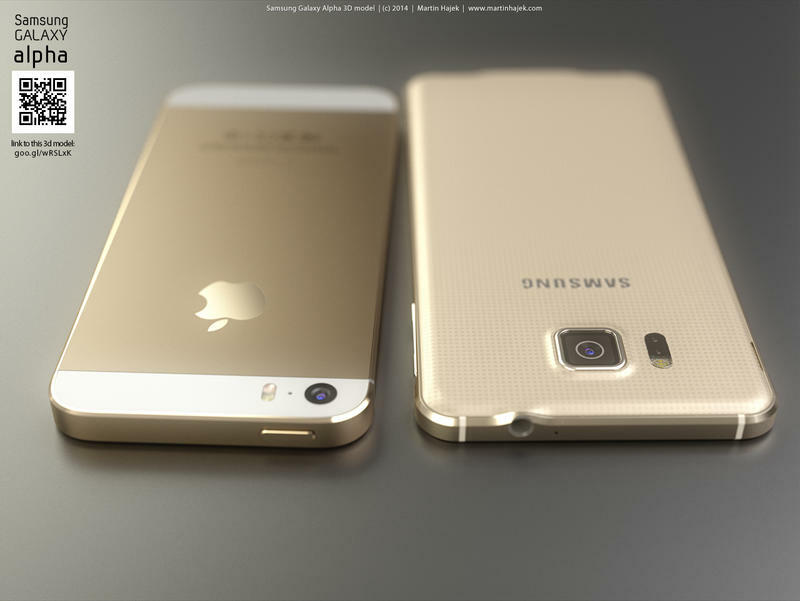 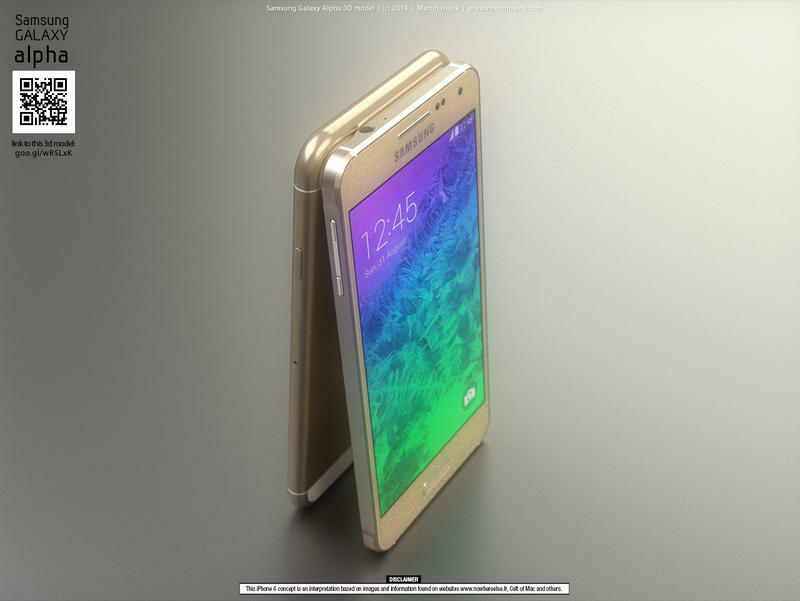 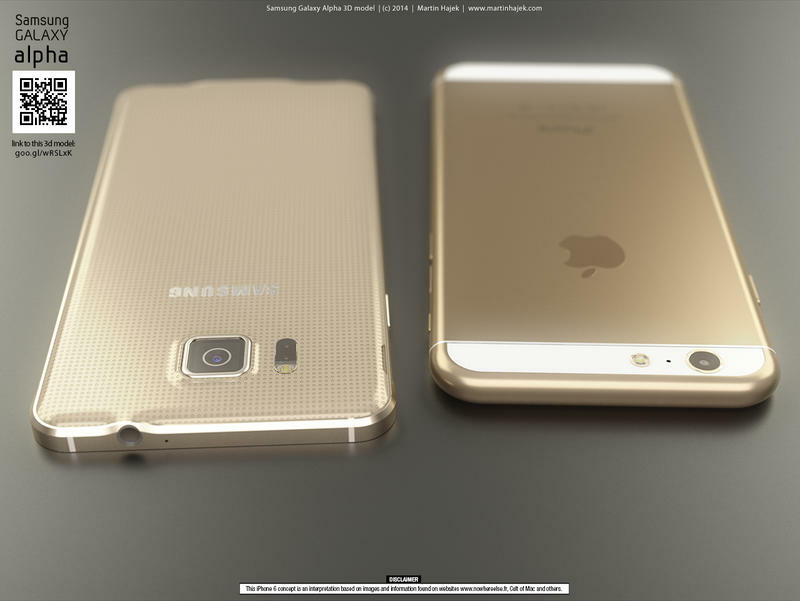 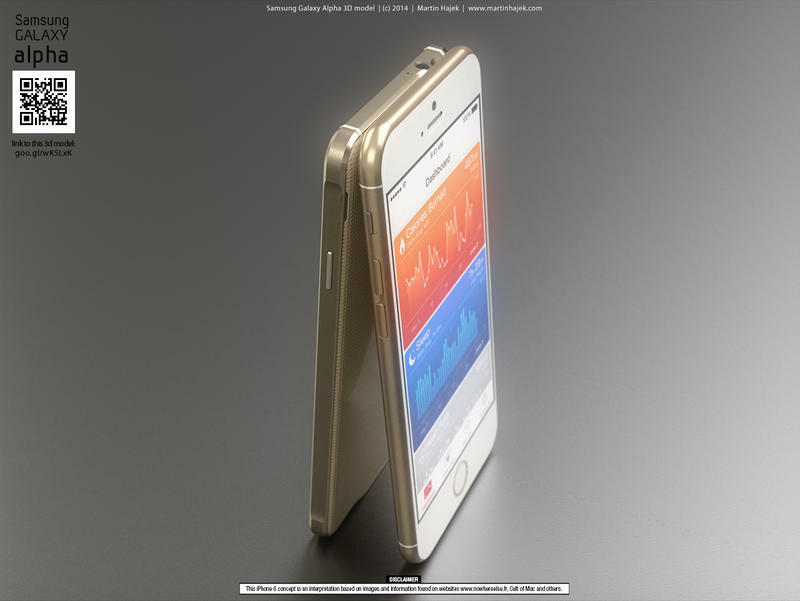 The designer, best known for his concepts of Apple products and other gadgetry, recently took the measurements of Samsung’s new Galaxy Alpha and created a brand new render that compares a model of the phone with the iPhone 5s. 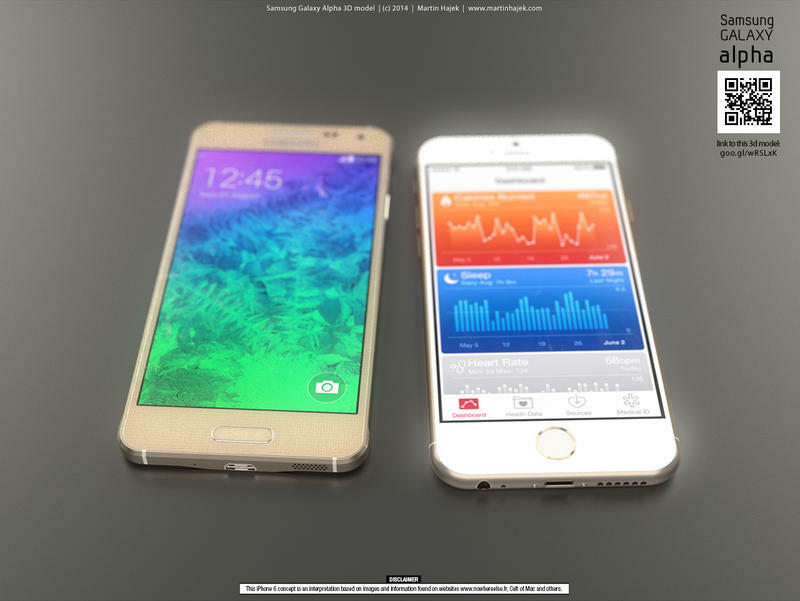 In another batch of images, which we’ve also included above, Hajek compares the Galaxy Alpha to a concept of the iPhone 6. 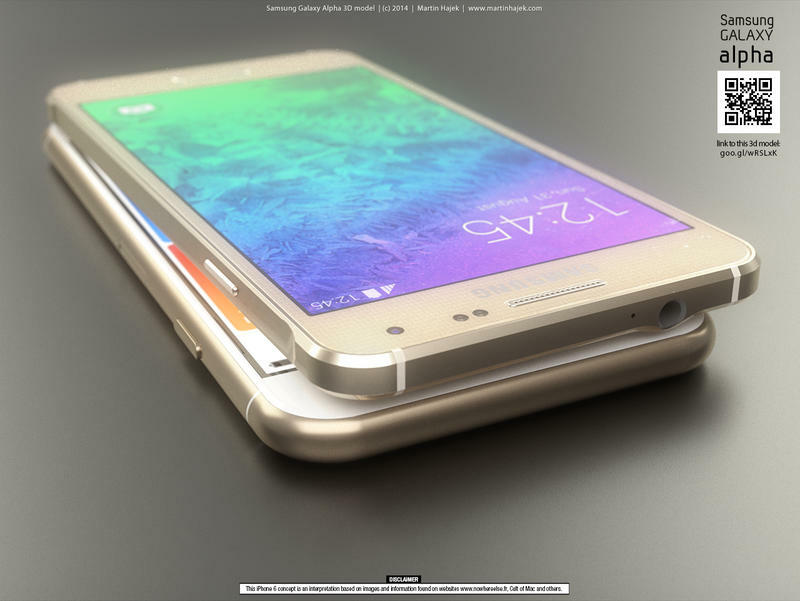 The Galaxy Alpha, which is one of the only Samsung phones we can think of that employs metal, clearly takes some design cues from Cupertino’s pride and joy, at least when it comes to the metal body and the chamfered edges. 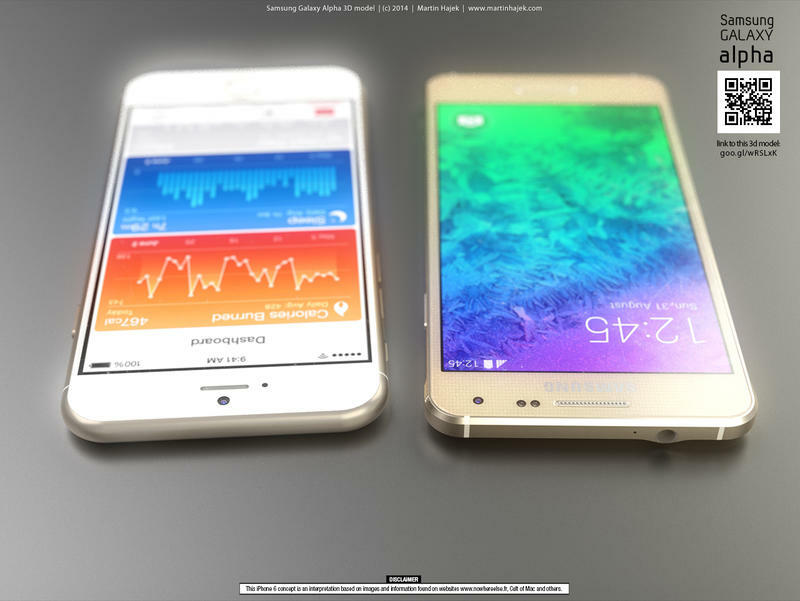 It’s not as smooth and round on the corners as the iPhone 6 concept and the Galaxy Alpha is clearly a very different device when viewed from the back. 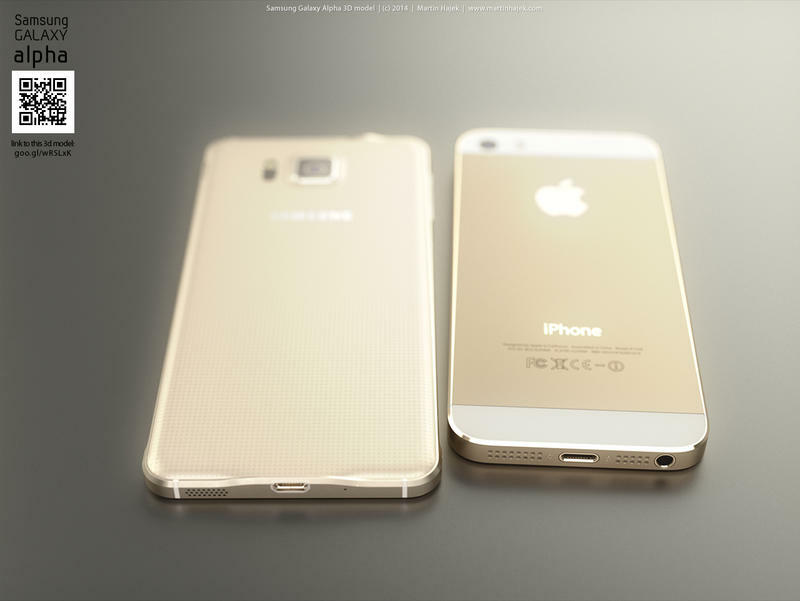 Still, it’s hard not to see a resemblance between the phones. 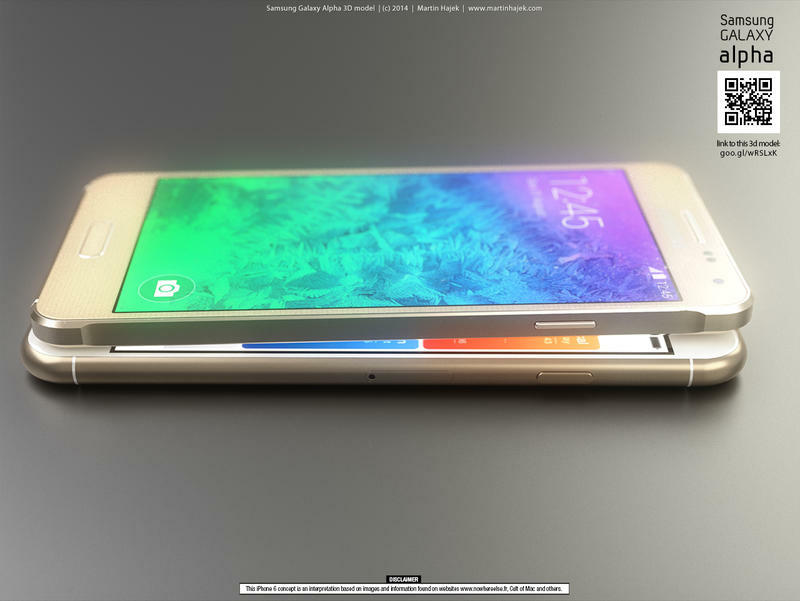 We hope to check out a Galaxy Alpha in person soon. 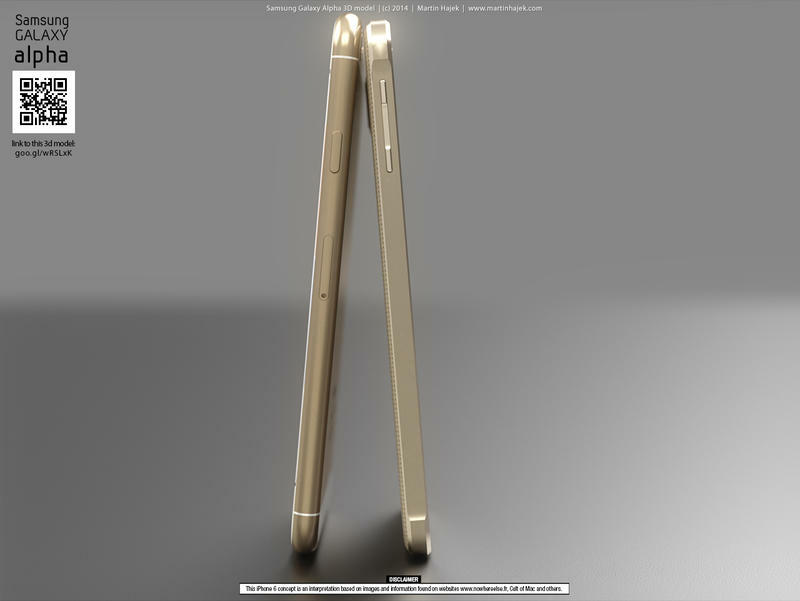 In the meantime Hajek’s artwork will have to tide us all over.